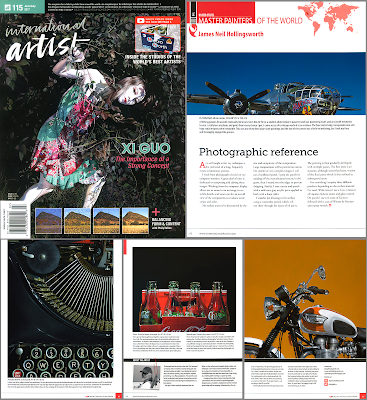 A few weeks ago I received an email from Vincent Miller, publisher of International Artist Magazine and its managing editor Rochelle Belsito, inviting me to show my work in the upcoming June/July issue of their publication. Once the initial rush of their offer diminished I continued to read and learned that I had my choice of of two feature options. I could choose either the four page "Master Painters of the World" or the eight page "Come Inside My Studio". Not being a very wordy guy and preferring to show multiple paintings rather than concentrate on the production of a single piece I chose the first option. 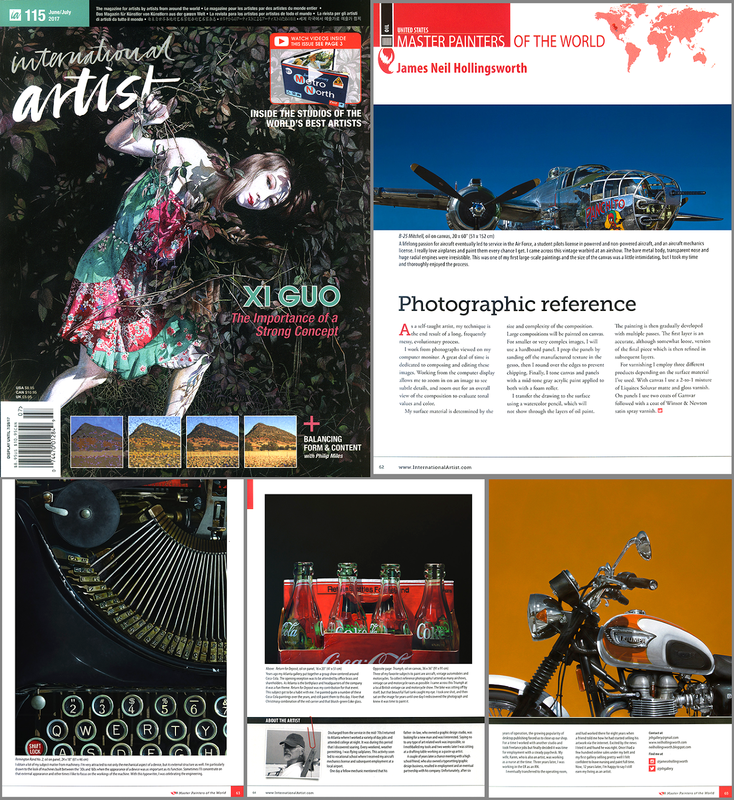 I don't think this issue is on the news stands as yet, but they sent me a few copies, so if you'd like to see my four pages (five if you include the contents page which also has one of my paintings, really proud of that) you can see hi res scans of the article on my website. Here's a link to those pages.